Jennifer Egan | Pen Parentis Literary Salons | Parenting Done. Write. Born in Chicago, I currently live in NYC. I am also a parent. 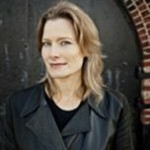 Visit JENNIFER EGAN’S WEBSITE here. Jennifer Egan was born in Chicago, raised in San Francisco, studied in England, and backpacked the world. She is the author of The Invisible Circus, a novel which became a feature film starring Cameron Diaz in 2001, Look at Me, a finalist for the National Book Award in fiction in 2001, Emerald City and Other Stories and the bestsellingThe Keep. Her most recent novel, A Visit From the Goon Squad, won the 2011 Pulitzer Prize, the National Book Critics Circle Award for Fiction, and the LA Times Book Prize. Her short stories have appeared in The New Yorker, Harpers, Granta, McSweeney’s and other magazines. Her non-fiction articles appear frequently in the New York Times Magazine. Her 2002 cover story on homeless children received the Carroll Kowal Journalism Award, and “The Bipolar Kid” received a 2009 NAMI Outstanding Media Award for Science and Health Reporting from the National Alliance on Mental Illness. She lives in Brooklyn with her husband and two sons. She also serves on the Pen Parentis Advisory Board.